The bad ones were chasing me all night in my dreams. They tumbled purposefully over every obstacle in their way and sometimes leapt up into the air, soaring for a bit before they bounced back to the ground and began their pursuit of me all over again. I ran feverishly, pumping my arms and twisting away from grasping dry arms that tried to scratch me and hold me back. I ducked when they took to the air. My legs ran through mud and slush and brambles, over uneven rough ground, stumbling sometimes, but always getting up. After hours of being chased I grew tired and ached for a resting spot. I checked behind me and my pursuers were nowhere to be found. I paused, and bent my head to meet my knees, panting. The air cooled around me and I grew chilled. The strong fearful sense still gnawed away at me and so I turned to my side to see if danger was approaching. A sound, shrill and disturbing shockingly wrenched the silence from the air. And at that, I awoke. Grey light soothed me as it smothered the vibrant colors of my sleep. My dream was stilled. The blankets were askew and the room was cold. 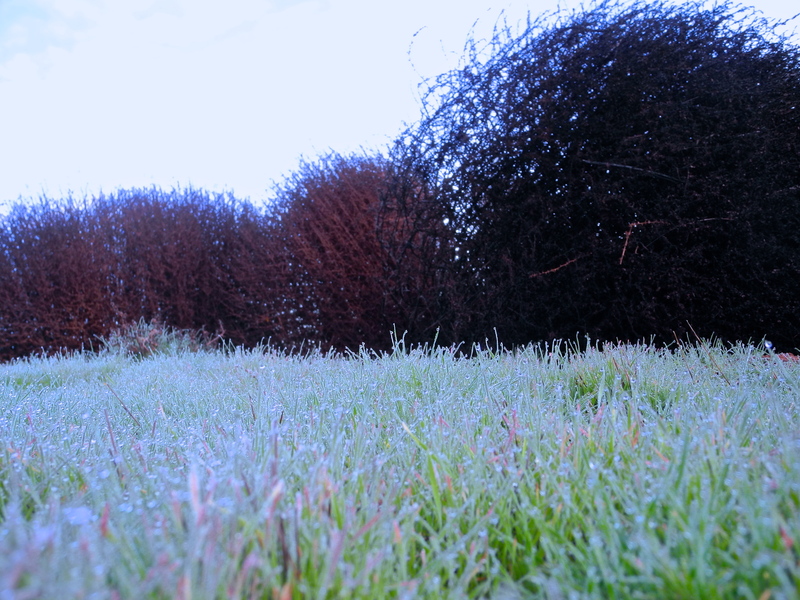 The tumbleweeds were still gathered at the edge of the frosty meadow and they would not be able to cross it in daylight. I left the bad ones behind me and so I rose to greet my day.